Froch gave this endorsement to Julie Sorocyzn, Managing Director of East Midlands based PhysioPod UK Limited. The DEEP OSCILLATION® Personal SPORTS machine has been very beneficial in aiding my recovery from the surgery I had to repair the ligaments in my right knee earlier this year. Through regular application, it took a lot of the swelling out of my knee and I feel it has generally speeded up the process of me getting back into my regular training routine. My specialist, *Dr (Mr.) Derek Bickerstaff at Thornbury Hospital, Sheffield, has been very impressed with my rate of recovery. I also find the DEEP OSCILLATION® Personal SPORTS very helpful with the usual aches and pains I suffer when in the gym. It is very convenient as well. Because it's so portable I can take it with me wherever I'm training, whether in Nottingham or in camp down in London. *Dr Derek Bickerstaff is a consultant orthopaedic surgeon, specialising in knee and ankle surgery and sports injuries and rehabilitation that has operated on several professional sports people including Darren Gough and Michael Vaughan. Froch, aged 30 is unbeaten in 21 professional fights and by winning all but 4 of his fights by knockout he has earned himself the nickname "the Cobra". Carl is pleased to have his DEEP OSCILLATION® Personal SPORTS unit to hand in the run up to his next fight against former WBC World Champion Robin Reid at Nottingham Arena on November 9th. 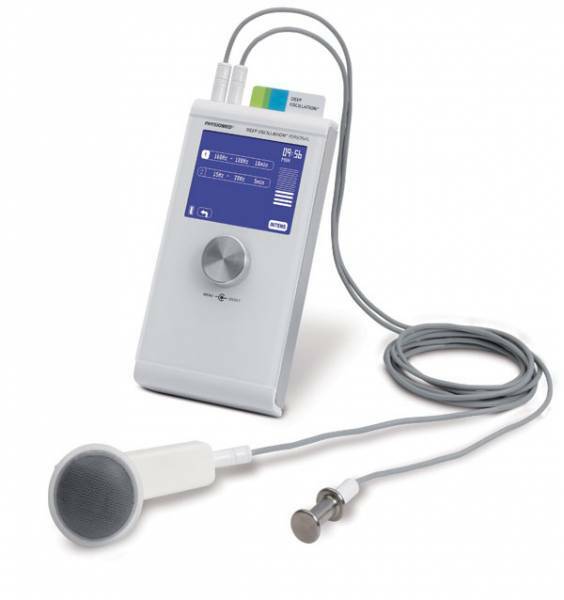 The way in which DEEP OSCILLATION® differs from other types of therapy is that it is based on the effects of creating a safe, low frequency, electrostatic field, deep within the damaged tissue of the individual, attracting and releasing the tissue producing a "kneading" effect of the area, which triggers a deep resonant vibration (DEEP OSCILLATION®). So rather than vibrating on the surface, specially researched frequencies (between 5hz and 200Hz) work through the entire depth of tissue layers, including the connective tissue; penetrating gently and effectively, dividing/compressing then pumping out the metabolic waste by-products, helping to clear acute and chronic inflammation, disperse scar tissue, alleviate swellings and bruising and improving lymph drainage. It is particularly effective on bringing about a dynamic wound healing after operations, promoting mobility and improving sensitivity. PhysioPod UK is delighted to receive Carl's endorsement of this unique, cutting-edge, German therapy, which is currently used in some 65 countries worldwide, including the USA and Russia and is now available in the UK. The DEEP OSCILLATION® Personal SPORTS provides faster regeneration after training, traumatic injury, damage from overstraining, muscle aches and strains. It also has the added benefit of being pain free in application, so making it ideal for immediate injury treatment. (A C Milan uses this therapy). As it is not a thermal therapy, it is safe too for use on areas with implanted metal plates. 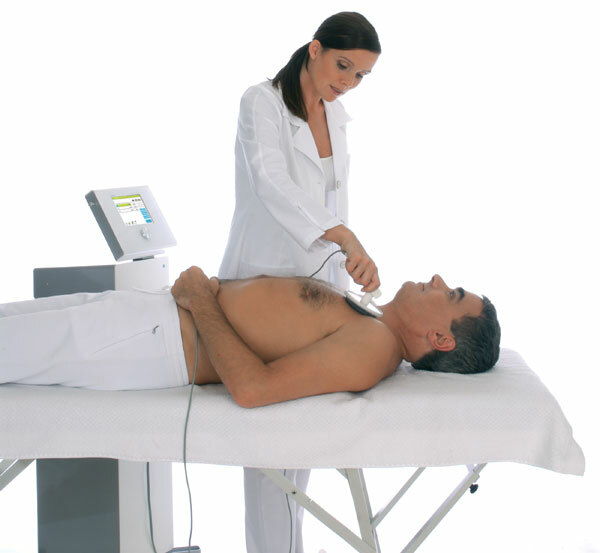 No electrical stimulation is required for effect as the machine is fitted with an active discharge device. Via different units it is also applied in the fields of surgery aftercare, e.g. breast cancer, open wounds (ulcers, amputations, burns), respiratory diseases and aesthetics, pre and post operatively and many common aesthetic procedures including cellulite. PHYSIOMED ELEKTROMEDIZIN AG, the manufacturer's of DEEP OSCILLATION® will be at MEDICA in November, the world's largest medical fair in Düsseldorf, Germany in (Hall 9 stand C25) promoting their range of high-quality products for physical therapy, based upon their state-of-the-art technology. Their mission is to "realize innovative solutions with the objective of perfecting therapeutic work and to develop new groundbreaking approaches to therapy"
This press release can also be seen here. Carl Froch now The World Super Middleweight Title Holder has now used the DEEP OSCILLATION Personal SPORTS for three years, he feels it has improved his range of movement.